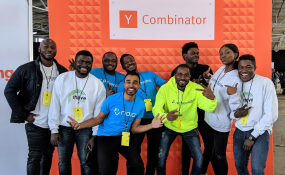 A record seven Africa-oriented YC companies presented at Y Combinator’s Winter 2019 class of 200 startups in Silicon Valley - 5 originated in Nigeria and 1 in Tanzania. Six are fintech ventures, with products targeted across currency trading, agriculture, healthcare and education. The seven Africa-focused companies that presented as part of Y Combinator's Winter 2019 class of 200 startups may seem like a small percentage for such a large class, but it represents the growing significance of African ventures in YC's universe. Since 2016, the Silicon Valley accelerator -- which provides seed funds and mentorship for early-stage startups -- has backed 25 companies located in Africa, and another 10 with an Africa product focus, according to YC spokesperson Lindsay Amos.